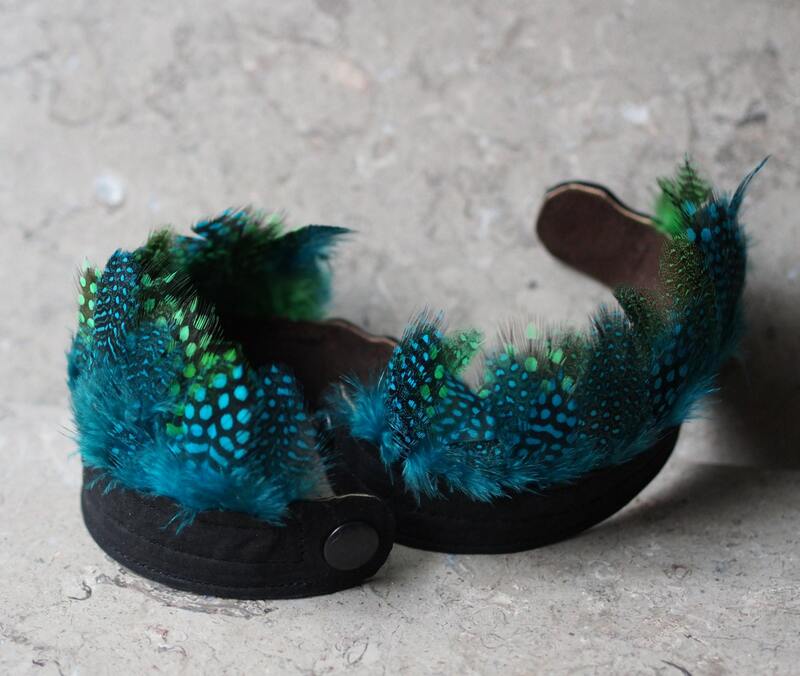 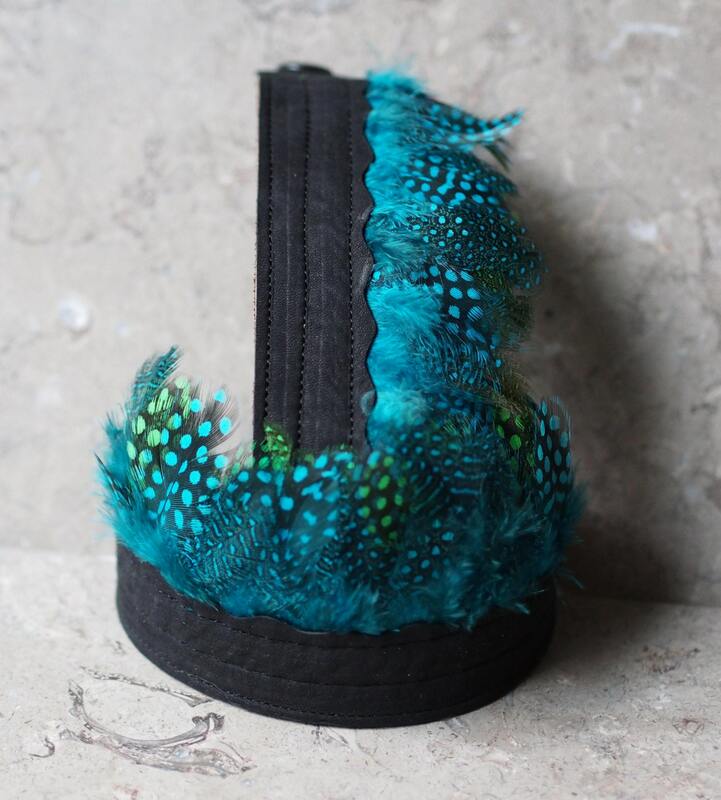 This version is a row of aqua feathers layer over row of bright green feathers with matte black goatskin band. 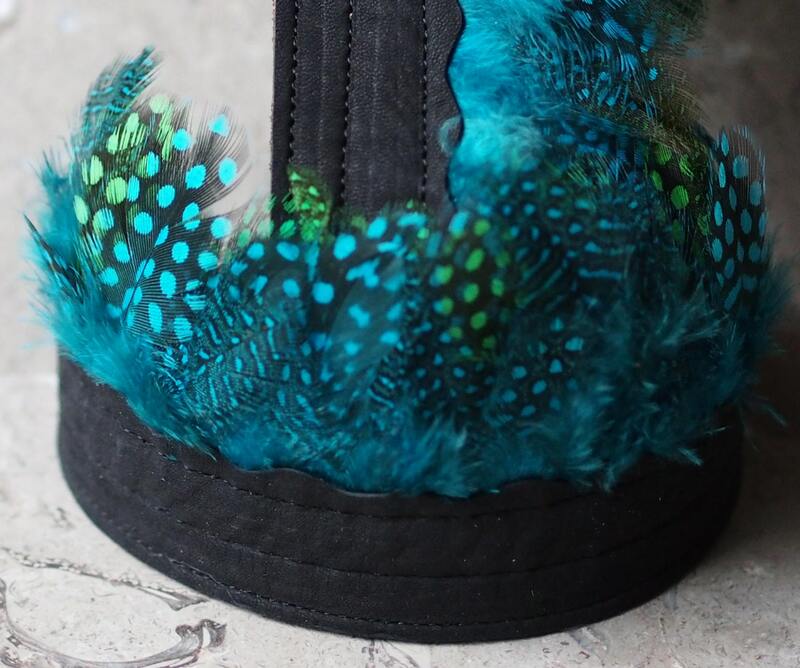 The band has been cut with a gentle scallop top edge to accent the downy features of the feathers. 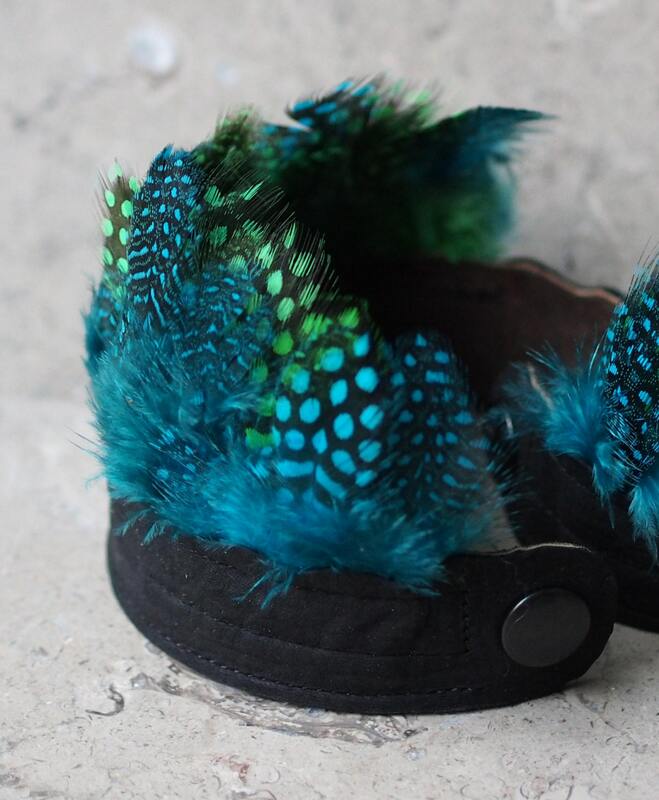 The Guinea feathers are dyed and finished in ribbons, which are glued down onto a soft cowhide (brown inner band in photo #5), and then covered with the upper leather, and all layers are stitched together in multiple rows to keep all secure. 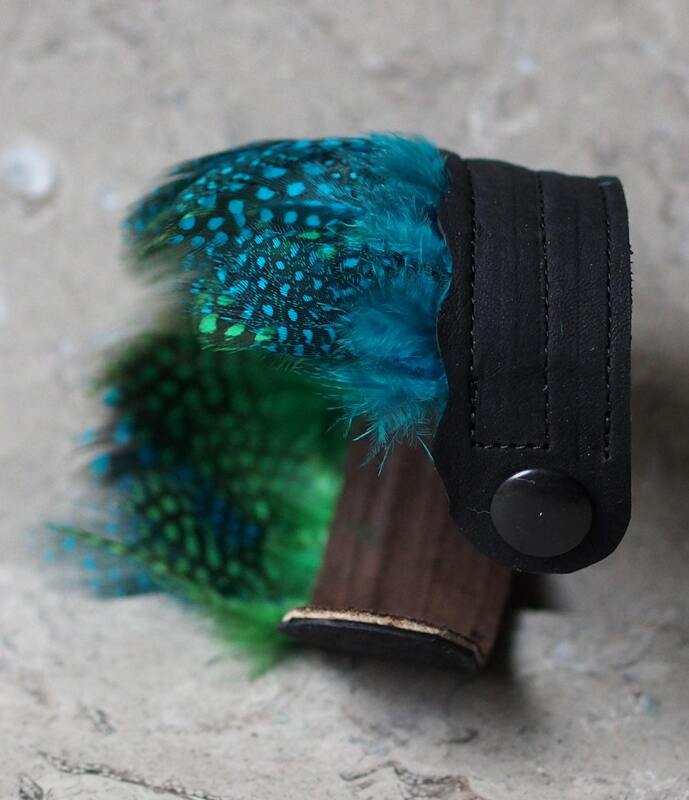 The leather band is 1 to 1 1/8" at its widest, and the feathers make the total about 3", which can be worn either towards the hand, or up the arm.